Never let it be said that developers don't care about their fans. When Michael John Mamaril passed away of cancer at the far-too-young age of 22, his friend Carlo thought to memorialize his late pal by petitioning developer Gearbox Software to permanently inscribe Mamaril in the annals of gaming history. This wasn't something that Gearbox had to do, nor was Mamarill previously known to the development team, and yet his memory will now live on in every copy of Borderlands 2. 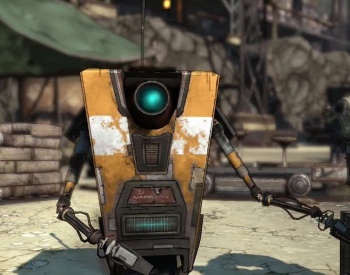 According to a Destructoid report, the developer complied with Carlo's request and recorded a nearly minute and a half-long eulogy to Mr. Mamaril (which you can hear in its entirety at Destructoid) via Borderlands' most famous character, the wise-cracking robot Claptrap. Likewise, the company has revealed plans to add Mamaril to the upcoming open-world shooter as a non-player character. Most impressively, this whole story doesn't come to us via a Gearbox PR blast or some cynically opportunistic representative from Borderlands publisher 2K Games. So far no attempt has been made to glorify this act, despite the fact that it's an intensely touching example of a developer going above and beyond the call of duty to pay respects to a fan of its work. Thus, it seems even more important somehow that we should applaud Gearbox's kind gesture. Way to make the oft-demonized gaming industry look like a caring community, guys. We could all use more of this.